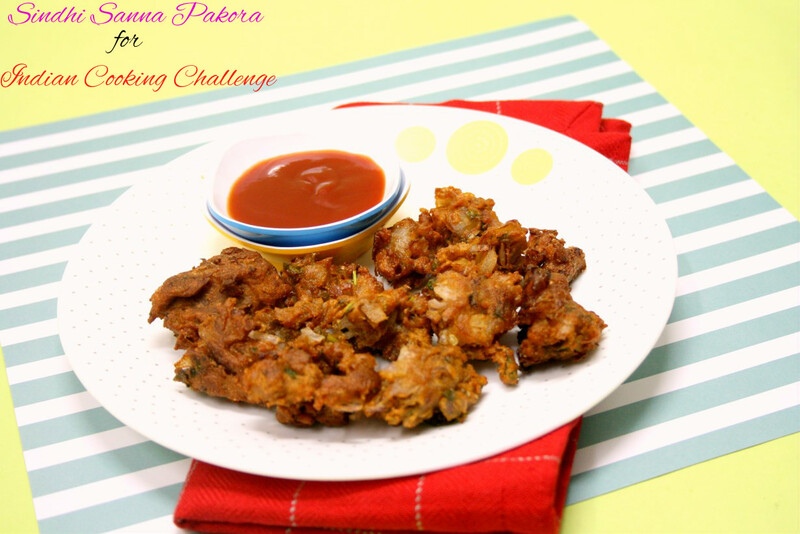 For Indian Cooking Challenge this month, we make another Pakodi!. 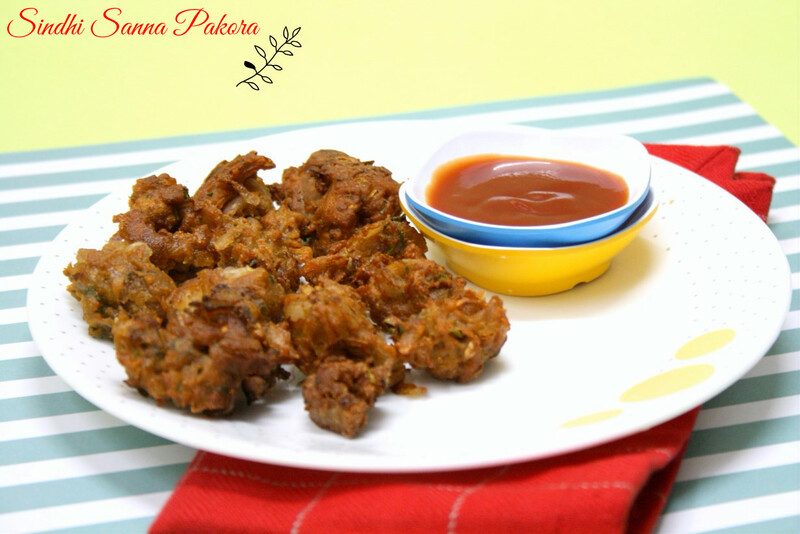 This time its Sindhi special and it didn’t strike until I was writing this post that only last month we did a pakoda with besan again, a special from South States. It looked almost like we have currently given up on deep fried pakodas and these have become traditional and lost. Its not the case, atleast not in my household. I still deep fry pakodas frequently and I love them. 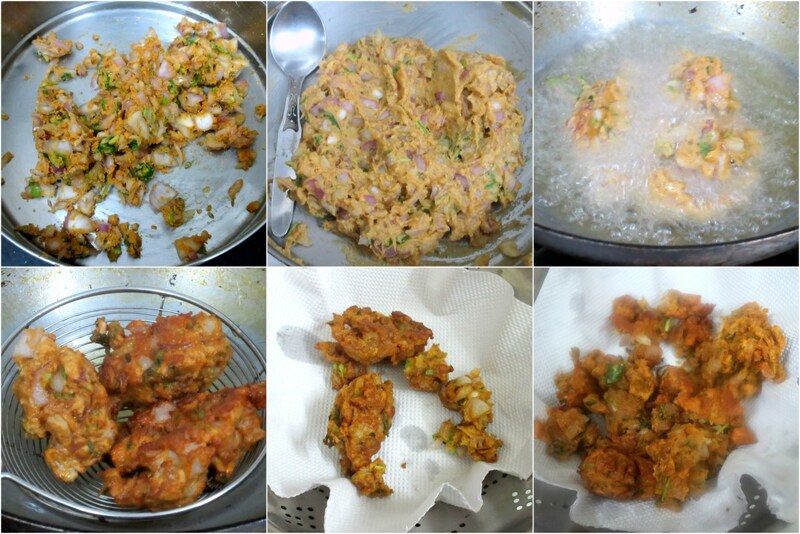 My interest infact lies in trying out different pakodas from all states and across countries. Thats what led me checking out this recipe from Sindhi. I referred both Alka and Vaishali to see the common factor in this recipe. As expected each family makes it differently. However the basic step being, adding whole coriander seeds and twice deep fried. So it was all the more fun for me! I seem to end up cooking lot of Sindhi dishes, and my liking to that started way back during my college days when I had a Sindhi friend. I am so glad that I have good friends still who are experts in this cuisine that I get to know more dishes from this wonderful cuisine. I ground my own Pomagranate powder after a long time. And the taste of whole coriander seeds along with Anardana is wonderful. Add a tsp of hot oil to this batter, mix well. 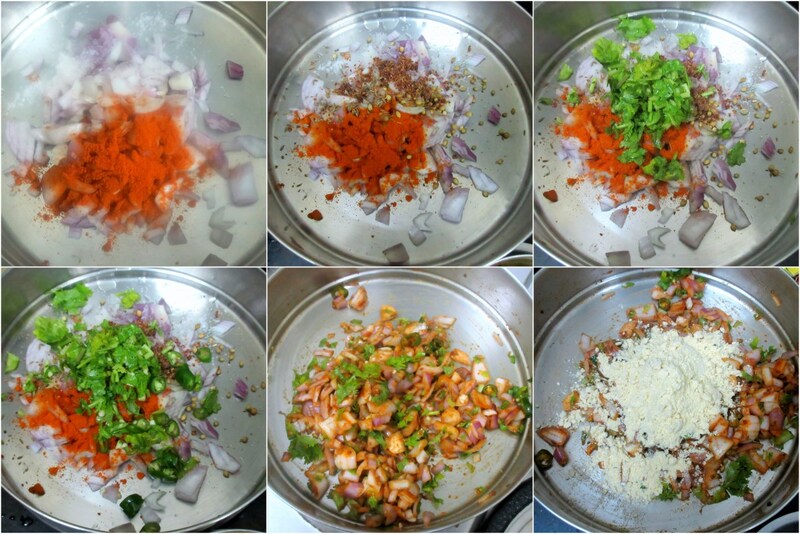 Take a spoon full of this mixture and slide gently into hot oil, repeat for whole mixture. Fry them on medium flame till almost done. Fry again till dark golden brown and crisp. 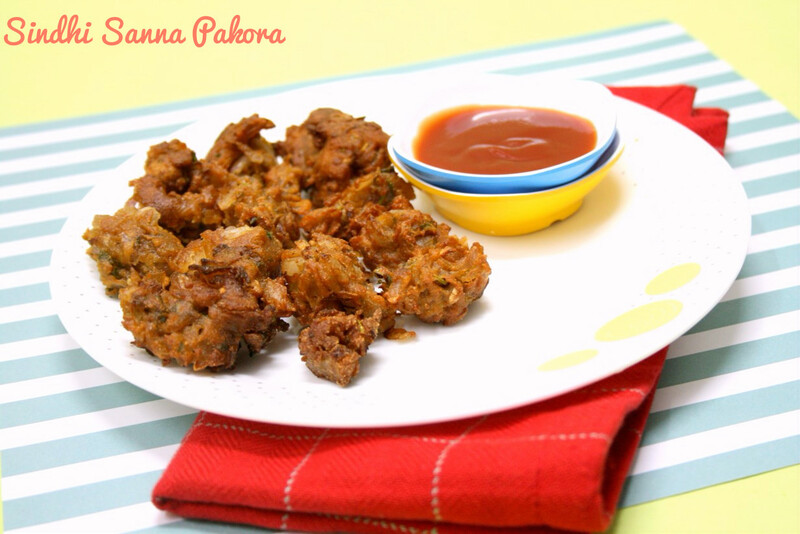 Thanks for choosing this yummy pakoda Valli. We loved it a LOT. Thanks for choosing this recipe..I'm glad that i tried recipes from various cuisine.